Jewel @ Bunagkok is the latest condominium estate that holds 6 blocks of 15/16/17 storey high-rise building comprising of 616 residential units that awaits you! With its resort-like ambiance and splendid amenities, you could not ask for more but stay here for good. It has a tasteful and dazzling furnishings that will satisfy your luxurious lifestyle. Jewel @ Bunagkok offers grandiose residential units that provides you with royal treatment. 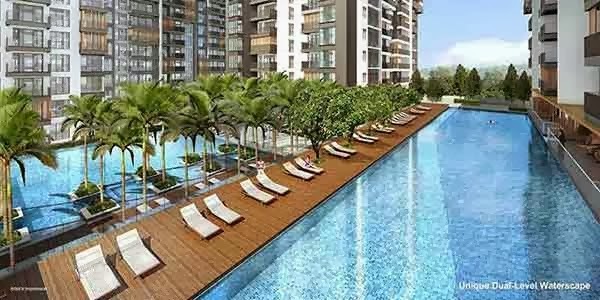 This highly developed condominium estate offers all the beauty and luxury of the urbane and natural abode that is worth your every penny! Jewel @ Buangkok is attractive priced from 6xxk.